2018- present : Edge fellow at Deloitte’s Center for the Edge as Global Strategist Digital Health. The future ‘business’ is on the edge of your current operation: what is created on the edge of the competitive landscape—in terms of technology, geography, or demographics — will strike at the heart of your operation. At the Deloitte Center for the Edge we translate trends to operational impact to be prepared for a seoft landing into the future. 2011 – present : core faculty at Exponential Medicine, Singularity University USA. Exponential Medicine is a unique and intensive four-day 650 attendees experience gathers world-class faculty, innovators and organizations from across the biomedical and technology spectrum to explore and leverage the convergence of fast moving technologies in the reinvention of health and medicine. 2010 – present : Director Radboud REshape Center, 2008- presentRadboudumc, Nijmegen, the Netherlands. Challenges for healthcare are enormous: increasing demand, decreasing budgets and shortage in skilled personnel puzzle many healthcare administrators. To cope with these aspects, at Radboud University Medical Center, initiated the REshape Center that is at the convergence of patient empowerment and (exponential) technology. Advising the Executive Board in terms of changes in healthcare enhancing the participation of patients and their informal care in their own disease, working towards raising the level of participation in Health(care), research and education. 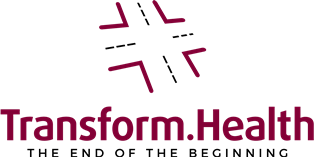 Transform.Health works at the intersection of healthcare today and (the day after) tomorrow. Bridging vision, strategy, and practice on how health(care) is changing in the next 5, 10 to 25 years. Advising top-level CEO’s and administrators of (multiple) governments, NGO’s, institutions, and corporates on their innovation strategy in the most dynamic era in history. Assisting them in the (digital) transformation society is in the midst of. After me coining this idea for a program to support future leaders to the Ministry of Health, from wishing my REshape Center at Radboudumc we co-created this with them. Build prototype with the first group of 50 participants, starting 2018 editions also become available in a MOOC in fall. Also check my https://www.linkedin.com/in/lucienengelen/ profile on Linkedin. To co-create visions for sustainable innovations together with leading edge cross-industry experts and internal executives. Coordinating the Acute healthcare (roughly) in the province of Gelderland to treat the right patients in the right facility based on evidence, research and guidelines. Next to responsibility for the Mobile Medical team (including Trauma-helicopter) together with midwifery, GP’s, Hospitals and ambulances services. Is a Dutch EMS Service including Dispatch Center (in this case comparable with 911). Lead the merger and the merged company for almost 5 years as CEO. When the development of the organization stabilized and the consolidation phase ahead, I wrote the Control Board of the Foundation my Letter of Resignation as of Sept 1st, 2007. Without a clear view on what would be next I started talking to 10 people near to my heart, when the word got out I was going to leave the RAV was asked to join the Police leadership and the Ministry of Health, but ended up at Radboud University Nijmegen Medical Center. Member of Dutch Councel to stimulate Multidisciplinairy Informatics for the Interior Safety. Founder of the Dutch Steering committee ICT & Acute Healthchain. Boardmember of the Multidisciplinairy Dispatchcenter Limburg Noord (Together with Police-chief, Fire-chief. Several companies in a Holding i.e. in Automotive, Health Care and Funeral services. Mainly responsible for strategy, personnel affairs and leading and developing the organization. After my choice to focus on the EMS branche sold the other divisions. Lead merger with 2 other parties and became CEO of the Merged foundation RAV Limburg Noord.